When it comes to buying a new vehicle, we understand that people want options, and for that reason, when our customers come in looking for something that they can customize a bit more than usual, we always recommend the Jetta. With not one, but three engine options, the Jetta makes it easy to get the capabilities that you want the most. Whether you’re looking for higher fuel economy, more power, or a mix of efficiency and power, the Jetta has an engine for you. Let’s look closer at what the options are. Before we get into specifics, know that all three of these engines do come turbocharged. This is perhaps the most common of the Jetta engines, not just because it comes standard in the majority of the trims, but because it manages to deliver some of the highest fuel economy ratings of any Jetta engine. When firing on all four cylinders, it is able to stretch a gallon as far as 28 mpg in the city and 40 mpg on the highway. Thanks to the turbocharger technology, it still gets 150 horsepower. Real impressive. If you can’t really decide whether you want power or fuel efficiency more, we highly recommend that you go with this engine, as it is the most balanced, and has ratings that are smack dab in the middle. When it comes to fuel efficiency, it gets 25 mpg in the city and 35 mpg on the highway. In the power department, it manages to get up to 170 horsepower, which is more than enough oomph given the size of the Jetta. All models of the Jetta give you the sporty look that you desire, but if you want the performance to match that look, look no further than the 2.0-liter option, which manages to match the horsepower of the Golf GTI—210 horsepower for those who may not be familiar with the hot hatch. Despite that, fuel economy is not sacrificed. With ratings of 23 and 33 mpg in the city and highway respectively, it’s still very efficient. It may be helpful to read about the fuel economy or horsepower ratings of the Jetta, but we can assure you that simply reading the numbers is nothing compared to hopping behind the wheel, putting the pedal to the metal and feeling its strength for yourself. 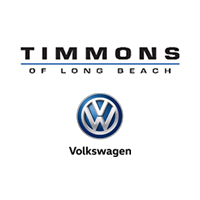 If you are in the Long Beach area and are interested in doing just that, you can check out our Jetta inventory and see what we have available. You can also feel free to just stop by. We can get you behind the wheel of a Jetta with each engine so you can try them yourself.